I’m still 4 months away from being postpartum again, but healing after birth is already something I’m preparing for. 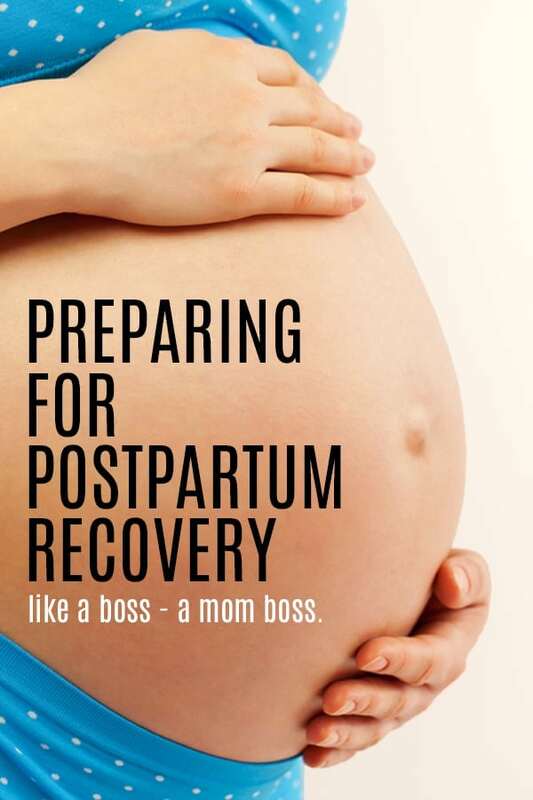 Postpartum recovery and healing postpartum the last time I had a baby really threw me for a loop. This time I’ll be far more prepared. 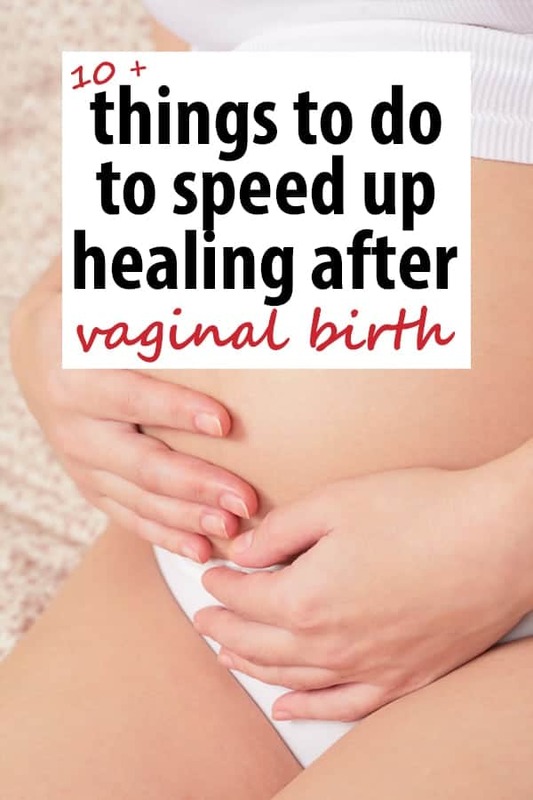 You can be prepared too, with these great tips for vaginal care after childbirth and postpartum recovery pain tips. I started seeing a pelvic floor occupational therapist a few weeks ago (and I’m excited to write in more detail about that later – because I think pelvic floor health is something that EVERY mamma should know about). So I’ll be doing all the exercising and carefully preparing as much as possible pre-birth… but I know, regardless of what I do, there’ll still be a fair amount of unpleasant-ness that comes with healing after vaginal birth. I mean, you’re squeezing a watermelon out of a nostril here – maybe it’s like a stretchy nostril, but it’s unrealistic to think you’ll be running through babies’r’us in your jeans the next day. Fortunately, this time I have a better idea of what to expect, and I know a little more about how to make sure I am healing postpartum as fast as possible. Also, make SURE you’ve checked everything off the Ultimate Third Trimester to-do list. These things might not seem like they actually SPEED healing, and in reality it’s possible that inflammation protects the wound site against infection and is a natural mechanism administered by the body, but, it can cause tissue damage if it persists too long. So, doing a few things to decrease inflammation and reduce pain is a good idea. Plus, a nurse friend told me that if you’re in terrible pain, your body tends to expend energy trying to deal with the pain, rather than heal. I thought that was pretty interesting, and it sure does make sense! I was SUPER hesitant about trying this… and when the nurse came in with one a few hours after squish was born I almost said no. But after I tried it I was SO GLAD I did! Just unwrap them, soak them and put ’em in the freezer. As soon as the dr or midwife okays them, sitz baths are GREAT for speeding postpartum healing, and for keeping you comfortable. There are a few things to keep in mind with sitz baths, you can read here about how to take an effective and safe postpartum sitz bath. You’re likely nervous about your first trip to the potty after giving birth, and that’s normal – not to scare you MORE, but straining is obviously gonna be hard on tears or stitches. Take the stool softeners they’ll offer you at the hospital. Now, just to get a little TMI here, pooping in a squatting position is WAY easier on your body and will almost always require less straining than pooping in our normal cultural position of sitting. Squatting lines everything UP and makes it easier to get everything OUT. You’ll read a lot about numbing sprays, and I’m sure those are nice. I do plan to get a can of this stuff this time, mostly just for when I need to pee. (That’s the thing that was by far the worst for me last time.) BUT, all the numbing spray in the world won’t SPEED POSTPARTUM HEALING. I’m also buying this spray, this time (I meant to get a postpartum numbing spray last time but babe came early), as it has lavender in it… which is also very healing. I used lavender in my sitz baths last time and it was awesome. I also applied neem oil every time I went to the bathroom. I purchase my neem oil directly from my natural doctor… and I don’t feel comfortable recommending one I haven’t tried. But do research neem yourself, because it is VERY healing. Every time you pee, you need to rinse. This allows you to skip wiping, but it also cleans everything up and helps prevent irritation and infection. (Many women LIKE their peri-bottles and don’t find them painful at all, so don’t let me scare you here.) Most hospitals will provide you with one, but you can also grab one here. Every cell in your body will be crying out for water… you’ve lost blood and you’re making milk. Give your body as much water as you possibly can! Even if you’re feeling good, tight fighting clothes still aren’t a great idea. You want to maintain healthy blood flow and keep as little pressure as possible on the whole area. Other than to carefully apply healing creams or oils, don’t touch! (And if you are applying anything, wash your hands WELL prior.) Don’t “wash” yourself – it might be tempting (because, let’s face it, you’re icky). Just swish water (while in your sitz bath) around the area, and pat dry. This might seem like contrary advice, but really, as soon as the dr / midwife thinks it’s safe, get those stitches OUT. Perineum stitches are often made to dissolve these days, but sometimes dissolving can take up to two weeks (or longer). If your stitches dissolve before a week – consider yourself LUCKY! Most tears won’t require more than a few days to start healing (as long as you’re not overly active) and having the knots rubbing around down there can be terribly irritating. I requested that my dr take my stitches out at our one week checkup, and everything got SO much better so quickly. Within minutes actually. Not waiting around for them to dissolve was a really great decision. Vitamins A, B, C, and E, (1) as well as copper, and iron (2) are essential to helping wounds heal. It’s great that you’ve likely been taking these for the duration of your pregnancy (in your prenatal vitamin) and you should CONTINUE taking them. I am a BIG believer that not all vitamins are made equal, and I believe that there is a bunch of filler + synthetics in lots of the cheap ones. These are the prenatal / postnatal vitamins that I take, this is the brand that our natural doctor recommends (and we can actually see health benefits when taking any of their supplements). Too much movement can increase bleeding, and that’s not good. Too much movement can also put unnecessary strain on stitches or tears. You’ll feel ten times better if you just rest. Once you’ve gotten the ok at your 6 week check up, it can be tempting to start doing all kinds of sit ups – I know it’s frustrating when your clothes don’t fit and your body looks SO different than it did a year ago… but go slow with your workouts, and eat well – especially if you’re nursing – don’t cut a bunch of calories trying to get into your pre-baby clothes! If you’re hanging on to baby weight or if you feel like your tummy won’t ever shrink back down, you probably need to heal your core muscles – holding a baby for 9 months straight is HARD work. The Postpartum Cure is a SUPER AFFORDABLE eating and workout plan for getting rid of the mommy tummy WITHOUT causing further damage. It includes meal plans, grocery lists, explanations of how to heal and strengthen the pelvic floor, and best of all, it will help you get your body back! Check out The Postpartum Cure here. Postpartum healing is one of those things that we dread having to go through, but in reality, the horrible parts are often blurred out by the joy of having our new baby… and of generally NOT being pregnant anymore – right!? I mean, WINE! Yes, I am totally one of those women who believes one glass of wine while you are breastfeeding is FINE. Maybe even one and a half. So, bonus tip, to heal faster after delivery, RELAX and have a glass of wine. “If a 150-pound nursing mom downs four alcoholic drinks—say, four 5-ounce glasses of table wine—and then breast-feeds her 13-pound baby 4 ounces of milk when she’s at her tipsiest, her baby will end up with a blood alcohol concentration of 0.0038 percent—the same blood alcohol concentration her mom would have after consuming a mere 1.5 ounces of Bud Light (one-eighth of a 12-ounce bottle).” –read more here. Though, I guess I should mention that alcohol will cause you to heal SLOWER (in general) so really, do keep it to one glass. OK that was off topic. So these are the things you SHOULD do after delivery… go here to read what not do after giving birth! 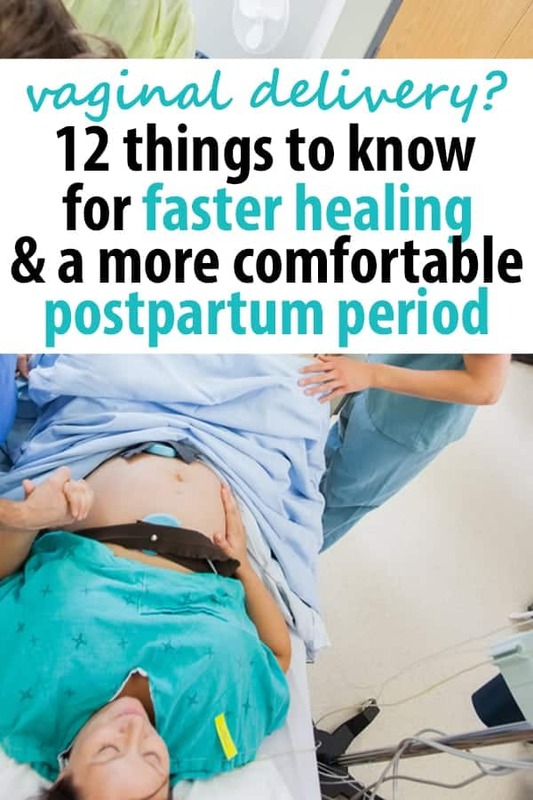 There is also a WHOLE BUNCH of stuff besides healing to consider, so head over here – The best postpartum advice you’ll ever get. Related: Is it new mom worries or postpartum anxiety? PreviousEasy Meal Planning Templates: Save Time and Money! God created foods and herbs of the Earth for human consumption and improved health. God knows everything and is the perfect healthcare doctor and has the perfect healthcare plan. God created fruits and vegetables of the Earth so we can not only improve our long-term health, but consume these foods as a means of healing our bodies and maintaining better health beyond imagination. (for context, I’ve had two vaginal births) I found freezing pads to be useless because they were stiff as a board when I took them out of the freezer. However, what they gave us in the hospital (they called them “bubbles,” for some reason) worked great. Buy “finger cots” (they’re like little finger condoms). Fill with water. Tie off the end (I think the hospital used floss, but those tiny rubber bands for your hair would work, too), roll in gauze (maybe two to three layers? ), then freeze. When needed, put them in your pad right on the trouble spots. SO helpful! Also, Earth Mama Angel Baby spray helps a lot. In addition, adding an infusion of comfrey leaves to your sitz bath speeds healing. I got organic comfrey leaves from Mountain Rose Herbs and steeped them every couple days. Then I strained out the leaves, put the liquid in a Ball jar in the fridge, and added about a 1/2 cup to my sitz baths. Fantastic stuff! One more tip: Arnica tablets can help a lot with inflammation. HI Laurie! I am SO GOING TO TRY THE BUBBLES! Thanks for the great tip! I really wanted to take arnica but found conflicting info. on safety for breastfeeding. I take it you had no problems? Tip #6, I would also add to put a peri-bottle in your diaper bag for trips out. I delivered right before Christmas, so staying home for two weeks just wasn’t an option for me. I only had one bottle, and remembering to grab it and put it in my diaper bag was not easy with Mom brain! Take everything possible from the hospital, they throw it all away after you are discharged, plus your insurance (aka you) are paying for it anyway. If you don’t know, just ask, they get it all the time. They may even get you some new packages. I have a whole stash in the closet leftover from the first kid of pads, ice packs, wipes, etc. that is ready and waiting for baby number 2 to come out. Also, dabbing witch hazel on stitches when they are in the awful itchy stage of healing was a lifesaver! And motrin. Take it on a schedule too so that the pain doesn’t have a chance to come back. Soak the pads w witch hazel- it keeps them from completely freezing, and witch hazel is amazing for healing- it’s the active ingredient in Tucks pads. These were the most helpful for me coming home and then using the blow dryer on cold to dry out the area after showering. Not sitting too much, really helped, walking and laying flat were the best. Hot to warm water worked best in the Peri bottle- how did you pee w/o it?! 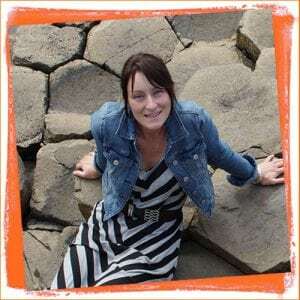 I tore extensively – labia, urethra and had an episiotomy. I totally agree w you about getting your stitches removed – I got the knot snipped off my episiotomy sutures, and trimmer down again about a week after that. It can be sooo uncomfortable & painful. I certainly wanted more than just Motrin & Tylenol! It was really helpful that I got to learn a bit more about the ways to ensure fast recovery after giving birth. I especially appreciated you pointing out how important it is to avoid moving too much in order to reduce the chances of bleeding as well as straining the stitches. I will be sure to keep note of this and mention it to my sister. She needs all the advice she can get as VBAC is already a sensitive form of giving birth, to begin with. Thank you! Momma of 3 with an induced labor, c-section and an all natural Vbac water birth, I could not praise the daily herbal afterbirth bath anymore!!! My midwife recommended it from inhishands.com. I use it until I ran out as soon as I got home from the birth center, about 5 hours after labor. Fortunately, I only had a small paper cut like tear, so results may vary, but nonetheless I felt amazing! Also, it helps heal baby’s umbilical cord. 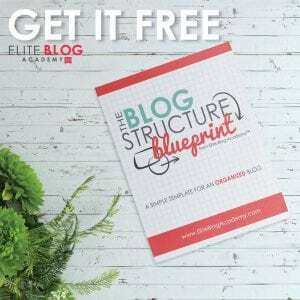 These are all solid tips – and I ESPECIALLY loved the last one! Grace is necessary!! !